Home / bestsellers / sheet music / Bestsellers: "Nella Fantasia"
One of our most popular sheet music titles is Il Divo's cover of the global hit, "Nella Fantasia" ("In My Fantasy"), originally released by Sarah Brightman in 1998. "Nella Fantasia" is actually based on "Gabriel's Oboe," a theme written by Ennio Morricone for the 1986 film, "The Mission." Listen to the original composition and find the sheet music for it HERE. Sarah Brightman heard and loved "Gabriel's Oboe" and wanted to transform it into a song with vocals, but Morricone was initially hesitant. Brightman's enthusiasm eventually won him over, and the song became a worldwide hit. 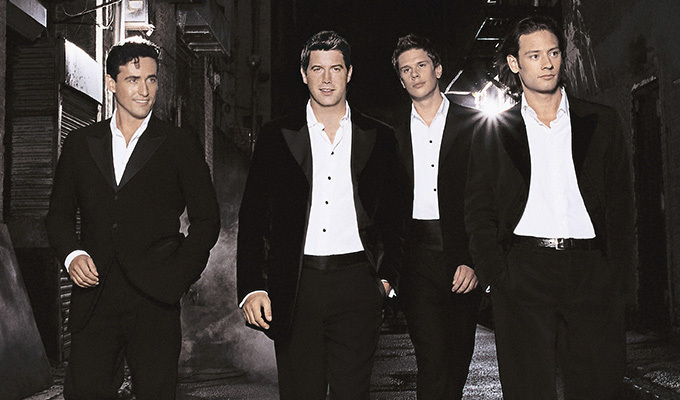 Our most popular version of "Nella Fantasia" is from UK-based supergroup, Il Divo. Listen to their gorgeous version below, and find the sheet music for it HERE.